Come and Join us for this Fun, Interactive Workshop covering Chapters 13-15 of the Pink Book. 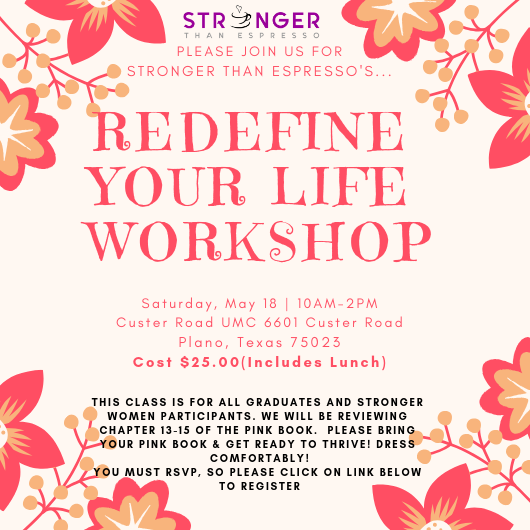 This Workshop is for all Participants and Graduates of the Stronger Women program. Be Refreshed and Thrive! You must RSVP for this event! Click on “Register Now” button to register. Lunch will be served! Dress comfortably. We will be meeting in room B5.